OK, to follow up my previous post where I had a graphics driver installation left in limbo: not correct, can’t reinstall, can’t uninstall… after fiddling in safe mode for a bit I decided to punt and just clean install. I was also going to search for install logs to see if I could figure out what went wrong, when I realized I didn’t actually care and just wanted the graphics to work. My gaming PC was originally Win 7, upgraded to 8.0, upgraded to 8.1, upgraded to 10… I’m willing to believe there was a certain amount of registry cruft and orphaned files along the way. The good news is the reinstall went swimmingly and I now have a perfectly cromulent Win10 box again. I did NOT install the driver package from nVidia; instead I let Windows auto-detect and eventually update my graphics driver. I am now running driver version 10.18.13.5362 from 7/22/2015, according to Device Manager->Display Adapters->nVidia GeForce GTX 650->Properties. Their latest package is 353.62, release date 7/29/2015, which seems to be contained in the last 5 digits of what Windows reports (i.e. 10.18.13.5362). I’m satisfied and calling it a day as far as the upgrade. I have 2560×1440 back, and dxdiag tells me everything is fine and my card’s feature levels run 9.1 to 11.0. Good to go. I actually prefer this – nVidia’s packages always included a bunch of stuff of questionable utility. They installed a fancier control panel applet, GeForce experience, some PhysX acceleration support, a photo/image viewer that I never used, etc. I’m not sure any of that stuff contributed to my desire to merely have working graphics. I want the driver and for my system to be as stable as possible with the least amount of extras installed. Less stuff = fewer problems and junk to chase around my system. Thus my recommendation to you if you want to run Win10 – just let Windows Update find and update the graphics drivers. A few days have passed so initial kinks and/or bugs have been fixed and ideally it will just work. (Again, the system I updated stretched back 3 versions so problems with the final update might not be unusual. In addition, the system wasn’t dead it was just stuck in a lower resolution than I knew was supported). So on Fri I queued up a bunch of installs from Steam and GoG Galaxy, and then went to work – after disabling various Power Options so my system wouldn’t go to sleep and cut off the downloads. I returned home and it was still crunching through my list. 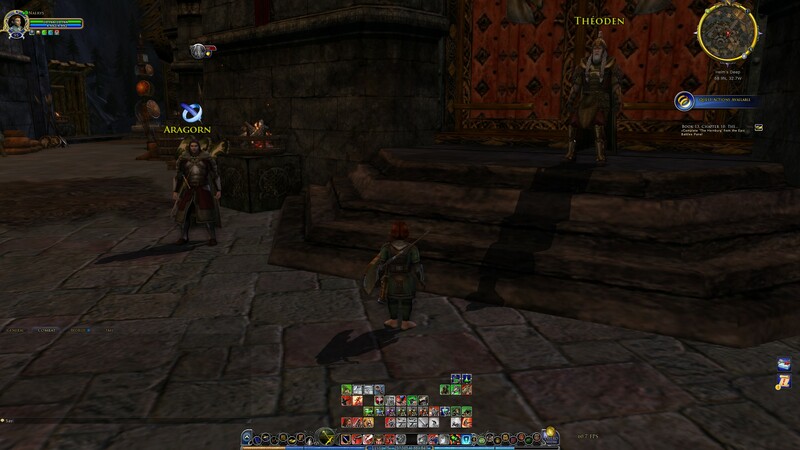 Lastly, I uninstalled the “Akamai NetSession Interface”, which LoTRO installs as part of its download/update cycle. I made a note specifically to remember to get rid of that – I’m sure it is useful and value-add and blah blah blah but now I’ve re-downloaded the data and don’t want it lingering. OK, I don’t have time to play, but I figured I could at least jump in a check on framerates, sort of an update of a post from a few months ago. 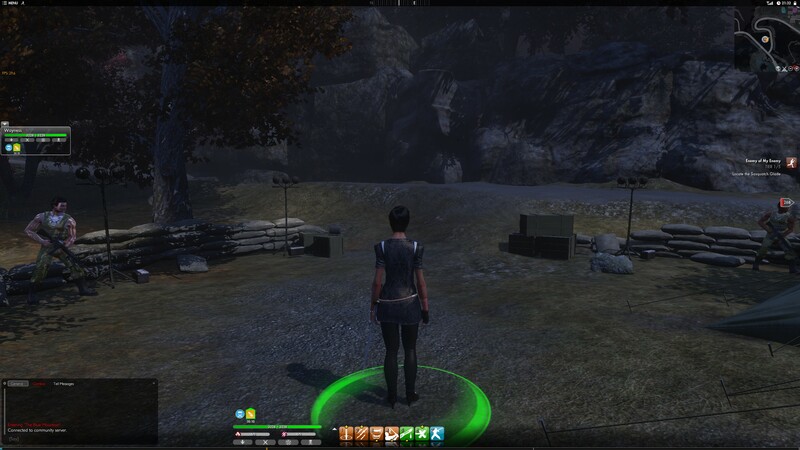 GW2 – Rock solid at the same 63 fps. GW2 is nice in that is displays the framerate outside the game in a config dialog, which means there isn’t any uncertainty about what’s going on in-game to potentially change it. FPS is the bottom right corner of the dialog. In the above 2 screenshots, FPS is displayed just right of center at the bottom. 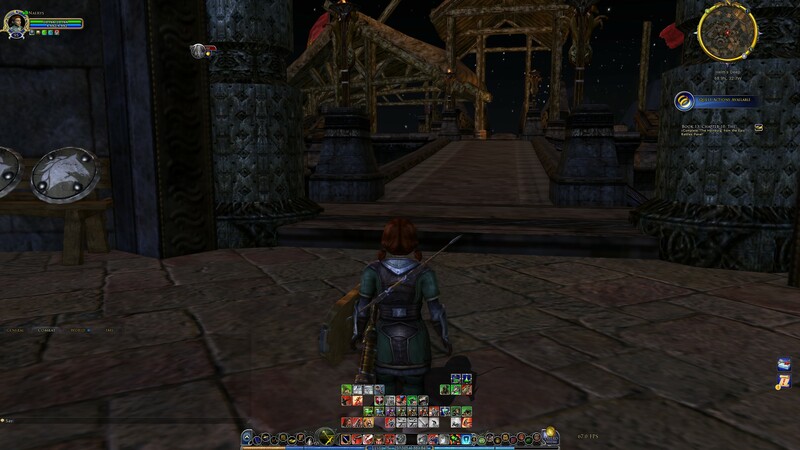 TSW – I logged in on Wayness and did a quick check. I’m getting 28-29 from where she is standing, which is very close to the 30 I reported last time. But, I don’t remember where she was or what was going on. However, I think the number are so close it is basically equal. FPS is towards the top of the screen on the left edge. 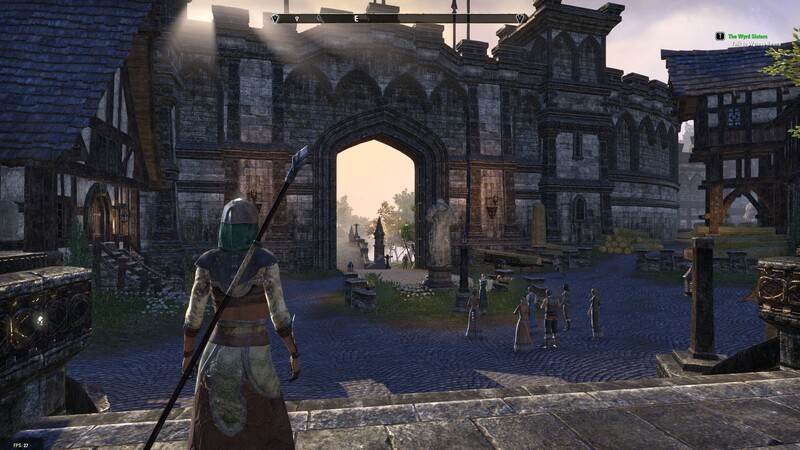 Unfortunately, last time I didn’t know how to check framerate in ESO. But now I do: /fps. When you do that, it shows up in the lower left corner. It was bouncing between 26 and 28 so capturing 27 seems fair. And further unfortunately, I did not reinstall WoW, EVE, or WS… yet. I’m unlikely to play them (boils down to available time really). I would like to check the framerate on WS because it was so terrible, I’m hoping some optimizations to the game have improved it. Win10 brings some nifty enhancement to games – when I start one I get a temporary hint about shortcuts available. 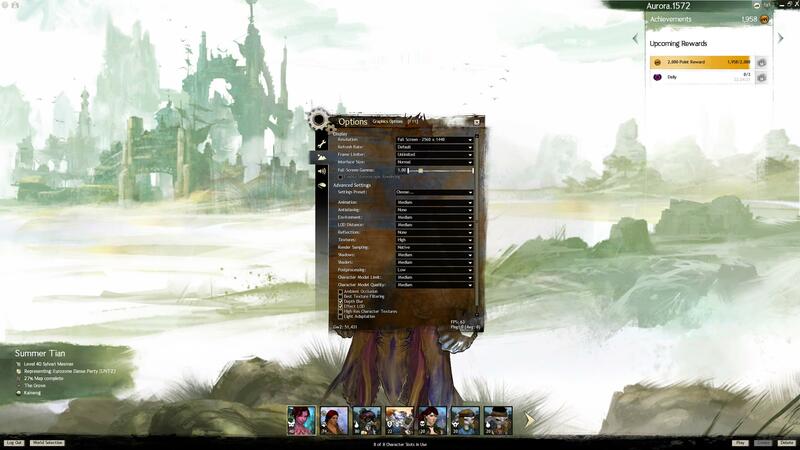 For instance, Windows-Alt-Printscreen to take a screenshot (that’s how I took the GW2 screenshot – if I hit Printscreen or Alt-Printscreen at that GW2 screen, I get a screenshot of my desktop. 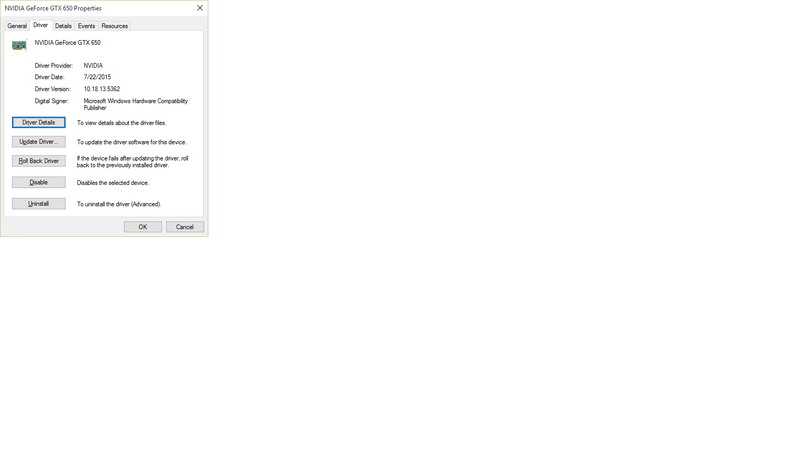 But Windows-Alt-Printscreen grabs the game screen). I’ll check out the start/stop recording ones soon.